Long, sinuous, trumpet-shaped with a tapering tip and often a colored throat – Zantedeschia (aka mini calla lilies) makes an elegant focal point in an arrangement. COLOR RANGE: Hues include white, yellow, orange, pink, red, burgundy, black and bi-color. Growing conditions affect plant coloring, so two flowers of the same variety may have slightly different coloration within a bunch or from planting to planting. 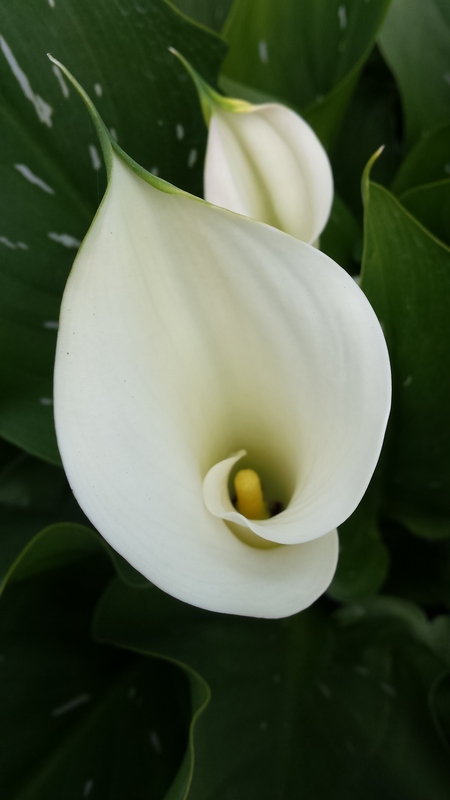 LASTING: Zantedeschia have a great vase life – keeping their beauty for two to three weeks.